Hailed by critics as a “rarity” and “a genuine contralto,” Meredith Arwady continues to delight audiences in the United States and abroad with rich vocal intensity and captivating stage presence. Meredith Arwady makes her Los Angeles Opera debut in Woody Allen’s production of Gianni Schicchi as Zita with Plácido Domingo as Schicchi in the current season. In Valencia, she will debut at the Palau de les Arts Reina Sofia as the title role in Handel’s Silla. She will be seen at Houston Grand Opera, Oper Frankfurt and the Canadian Opera Company as Erda in Siegfried, as well as the First Norn in Frankfurt. In the 2014- 2015 season, Ms. Arwady returned to Oper Frankfurt for Mistress Quickly in Falstaff. She debuted at the English National Opera as Martha in John Adams’s The Gospel According to the Other Mary in a production by Peter Sellars and returned to the Opera Theatre of Saint Louis as Hannah in Tobias Picker’s Emmeline, Houston Grand Opera as Schwertleite in Die Walküre, and debuted at Madison Opera as Mrs. Lovett in Stephen Sondheim’s Sweeney Todd. Meredith Arwady recently appeared at the San Francisco Opera as Mistress Quickly in Falstaff under Nicola Luisotti, a role which she then sang in a new production at Oper Frankfurt. She was seen at Houston Grand Opera as Erda in Das Rheingold, Opera Theatre of Saint Louis as Mme. Croissy in Dialogues of the Carmelites, and Santa Fe Opera in their double-bill The Impresario (Fräulein Krone) and Le Rossignol (Death). Ms. Arwady returned to the Metropolitan Opera as Erda in Der Ring des Nibelungen under the baton of Fabio Luisi, a role she also sang at Oper Frankfurt under Sebastian Weigle. Ms. Arwady garnered sensational acclaim creating the role of Kathy Hagen in Terence Blanchard’s new opera Champion directed by James Robinson and conducted by George Manahan. She also appeared as Auntie in Peter Grimes with the Aspen Music Festival, in which the New York Times praised her “rich-toned contralto” performance. Ms. Arwady has appeared with numerous opera companies in a variety of roles. She has been seen at the Metropolitan Opera as Pasqualita in John Adams’s Dr. Atomic under Alan Gilbert and as the Marquise de Berkenfeld in La fille du régiment; San Francisco Opera as Zita in Gianni Schicchi, Mother Abbess in Suor Angelica, and the Marquise de Berkenfeld; Santa Fe Opera as Gaea in Strauss’s Daphne and as the title role in Peter Sellars’s production of Vivaldi’s Griselda; Houston Grand Opera as Auntie in Peter Grimes and in the world premiere of André Previn’s A Brief Encounter; Oper Frankfurt as Ulrica in Un ballo in maschera and Erda / First Norn in Der Ring des Nibelungen; English National Opera as Pasqualita in Dr. Atomic; Canadian Opera Company in The Nightingale; Dallas Opera in Boris Godunov; Opera Philadelphia as Quickly in Falstaff; and Fort Worth Opera as Cornelia in Giulio Cesare. An alumna of the Lyric Opera of Chicago’s Ryan Center, Ms. Arwady made her mainstage debut Tisbe in La Cenerentola conducted by Bruno Campanella. Since then, she has been seen as Pasqualita in Dr. Atomic under Robert Spano, Quickly in Falstaff, Third Lady in Die Zauberflöte, She-Ancient in Sir Michael Tippett’s A Midsummer Marriage, all under Andrew Davis, as well as productions of Die Frau ohne Schatten, Roméo et Juliette, and Dialogues des Carmélites. In concert, Ms. Arwady has performend Beethoven’s Symphony No. 9 with Lorin Maazel and Bernard Haitink, both with the Boston Symphony, Edo de Waart and the Milwaukee Symphony, Christoph Eschenbach with the Chicago Symphony at Ravinia, Seattle Symphony, and Pittsburgh Symphony; Alexander Nevsky with the New York Philharmonic; Mahler’s Symphony No. 8 at the Aspen Music Festival with Robert Spano; Mahler’s Symphony No. 2 with the Toronto Symphony under Andrew Davis and Houston Symphony; Dr. Atomic with the Atlanta Symphony and Robert Spano; Alexander Nevsky with the Spokane Symphony; Mahler’s Symphony No. 3 with the North Netherlands Orchestra; Dvorak’s Biblical Songs and Prokofiev’s Ivan the Terrible with Orquesta Sinfónica de Galicia in Spain; and the Sir Thomas Beecham orchestration of Handel’s Messiah with the National Symphony Orchestra. 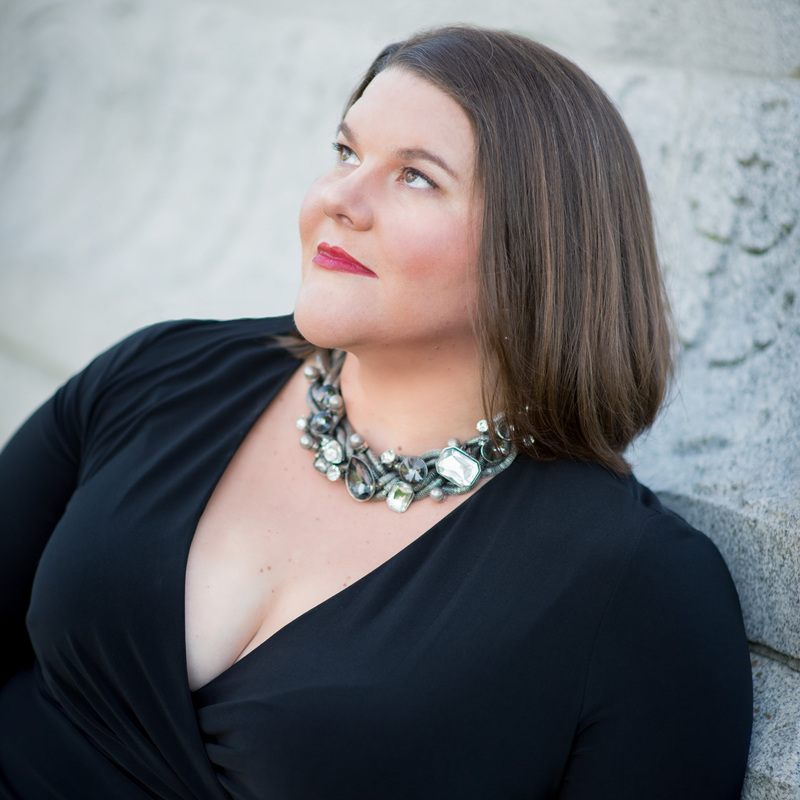 A frequent recitalist, she has been seen in New York City and Chicago recitals under the auspices of the Marilyn Horne Foundation, as well as recitals sponsored by the Curtis Institute of Music. She has also been featured as a soloist in the Richard Tucker Gala as winner of their Career Grant. Ms. Arwady has appeared in Chicago Opera Theater’s production of L’incoronazione di Poppea. She performed Meg Page in The Merry Wives of Windsor as a member of San Francisco Opera’s prestigious Merola Opera Program and returned to Merola to sing Madame Flora in The Medium. In addition, Ms. Arwady has performed regularly at the Chautauqua Institute where she interpreted such roles as Madame Flora, Zita in Gianni Schicchi, Mrs. Peachum in Die Dreigroschenoper, and both Mother and The Square Root of 7 in L’enfant et les sortilèges. A Grand Finals winner of the Metropolitan Opera National Council Auditions, Meredith Arwady joined the roster of Astral Artists upon winning its National Auditions. Astral presented her Philadelphia recital. She is also the recipient of other numerous awards and grants, including the Kirsten Flagstad Award presented by the George London Foundation for a singer with a promising Wagnerian career, First Prize winner of both the Licia Albanese/Puccini Competition, the inaugural Marian Anderson Prize for Emerging Classical Artists, and a Richard Tucker Career Grant. She is a 2012 Grammy Award winner for Best Opera Recording (John Adams’s Dr. Atomic). Born in Michigan, Ms. Arwady received a Master of Music degree from the Curtis Institute of Music where she studied voice with Marlena Kleinman Malas.